When I see the protests against Padmavati on news channels, it is almost like having a flashback of sorts, to my film Indu Sarkar. I know the pain of a film maker who has to fight against all odds to get their labour of love released. When I should have been celebrating the completion of my film, I was struggling to get my film released. I was everywhere, begging people to hear me out; that my story, though inspired by the Emergency, was a work of fiction with some relevant facts. The trauma began towards the end of June, when the film's trailer was launched. It started as an agitation, but slowly spread across multiple cities. I thought it was one of those times which would pass within few days. But it didn't; it just kept growing and within no time, the protests against Indu Sarkar had spread like wildfire across the country. It all started in Allahabad, where people started an agitation after watching a three-minute trailer. They were issuing fatwas in my name, burning effigies and they also threatened to blacken my face. I can never forget the nightmarish days of my film's promotions. Even when I think of it today, I can't help but shudder. I still remember a Pune college event I was supposed to attend with my lead actress, Kirti Kulhari. We left our hotel to go to the event, and I suddenly got a call that there were violent mobs waiting to attack us at the venue. We immediately turned back, and within no time, the mob had gathered almost inside the hotel lobby. The atmosphere was one of chaos and mayhem, and our entire team was held captive in their rooms for almost three hours. I called the authorities to save us from the hooligans... It wasn't just scary for us, but also for the other guests in the hotel. All we wanted, was to promote a film that I had made with such love and hardship. Mine was a small film with relatively new cast and many of the reputed names (who were part of it) didn't even charge me money, because they knew that my intentions and convictions were honest. The saga didn't end with Pune — we faced the same horror in Nagpur. The city authorities told us that a violent mob was approaching our hotel; we were immediately escorted out, our luggage was loaded in police vehicles, and we were taken to the airport after four hours. The visuals running on all the news channels had scared my family, friends. I was getting calls from all over the world, people were worried about my well-being. My subsequent press meets were cancelled. My promotional tours to Bengaluru and Chandigarh were also cancelled. Back home, my 10-year-old daughter was petrified seeing people chant "murdabad" slogans with my name, while my wife feared for my safety. Matters had turned so grave that I had to opt for special security. The Maharashtra government provided me with police security for a month-and-a-half. I was hurt that I was being hounded — and for what? Apart from the support of a few journalists and friends, it was a lonely battle. 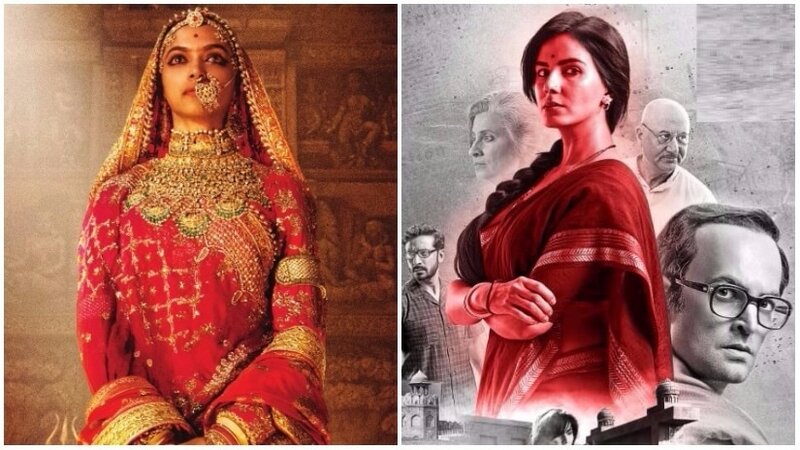 I had to firefight on three different fronts: the CBFC, the "offended" political party, and a lady who emerged from nowhere claiming to be the daughter of Sanjay Gandhi. I was dragged to court to safeguard the release of my film. At last, justice was granted to me by the Supreme Court. The CBFC had suggested 14 cuts, which wasn't agreeable to me as a filmmaker. There was an ex-Congress MP who had written to the authorities to have a special screening of the film so they could green light it (or not). Otherwise, they threatened to protest and create a ruckus before the release. The release date was nearing and there was no sign of the row easing. I was calling up the who’s who of the industry to stand by my film, to condemn the senseless protests, to support a fellow filmmaker... they all said 'we're with you in spirit, but we will not say anything openly as it is a political film. My tribulations were taking a toll... sleepless nights clubbed with anxious days were playing havoc with my health. I was alone, but determined. Ultimately, I managed to get the film certified. But the censor copy came in so late, I could not release Indu Sarkar in major cities overseas — a major financial toll for a small film. I was known for my topical films and this time too, I had made a similar kind of movie. It was a simple film, based on facts that were well documented. The Emergency was not a figment of my imagination but part of our history. I had dared to make a film on it — and for that I was treated like a third grade criminal. When I was being hunted like this, I wondered where were the pseudo liberals who proclaimed themselves the flag bearers of freedom of expression. They speak about injustice, and yet they tolerated the injustice meted out to Indu Sarkar silently. I come from an industry where we have close, familial bonds and a feeling of fraternity...what was shocking was that even the fraternity had abandoned me. They could not even spare 140 characters to condemn these protests or support me as a fellow filmmaker. Fortunately, I have never been a bystander to the personal or professional trials and tribulations of other film makers. It may be the outrage over Udta Punjab, Vishwaroopam or Ae Dil Hai Mushkil, I have openly condemned the shackling of freedom of expression of film makers and always stood in support of my fellow film makers. Today, when I see the controversy over Padmavati, my heart goes out to Sanjay Leela Bhansali, because I can identify with his pain. It is my belief that the CBFC is the supreme body and its decision should be ultimate. Beyond that, no private person or fringe group should have a say in the making or release of a film. It is heart breaking to see what a film maker of Bhansali's calibre is being put through, or the language and threats the cast of the film are subjected to. I pray for a peaceful and triumphant release of Padmavati for Sanjay Leela Bhansali.